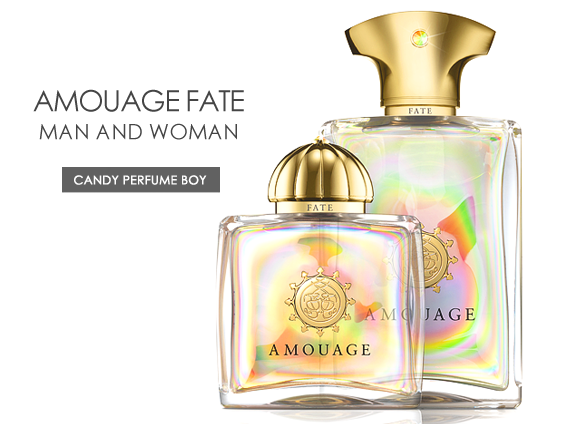 This week on Escentual I have revisited two fragrances that I reviewed a month or so ago – Fate Man and Fate Woman by Amouage. The latest duo from the famed Omani house have just launched over at Escentual and as usual are intriguing compositions full of surprise and mystery. As usual, just click on the above image to head over to the Escentual Blog and read the review – it’ll be worth your time, I mention wizards and everything. You may also feel free to leave a comment either here or there, and I look forward to reading your thoughts. Posted in Amouage, Escentual and tagged Amouage, Escentual, Fate Man, Fate Woman. Bookmark the permalink. I have only tried Fate Woman, but it was too sweet for me! I would like to try Fate Man, though. I like slight bitterness in my perfume! Fate Woman is definitely very sweet, but it’s interesting because the sweetness is cloudy and puffy rather than cloying. Slight bitterness can be very wonderful indeed, I agree. Fate Man was not for me, not suprising since I have a difficulty with immortelle, and yes as usual it more or less drowned all the other notes. Wow, you’re certainly racking up those Amouage bottles! It’s funny, I do like the Woman but it’s not love for me. That said, I am warming to the Man more and more with time. Sounds like Fate Woman is a total lemming for you though! I love and own Fate Woman but I find the longevity isn’t good for some reason. I am slightly vexed especially as I have read others find it to be a powerhouse and sillage monster. Would like to hear your experience of this one please Thomas. I find the longevity and sillage to be very grand in true Amouage style. It sure lasts!